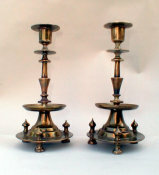 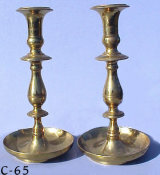 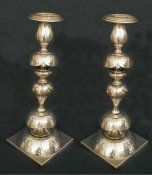 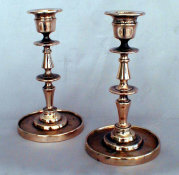 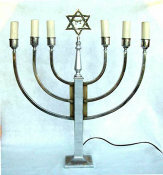 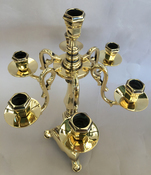 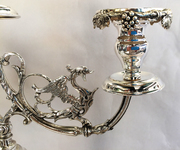 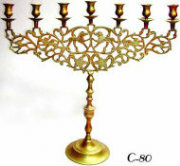 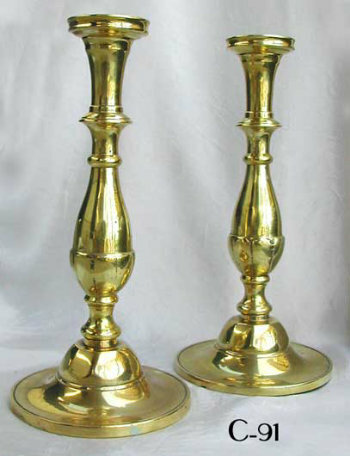 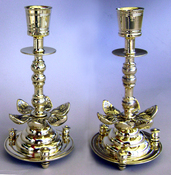 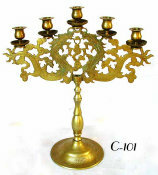 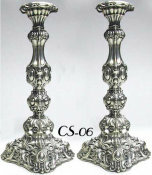 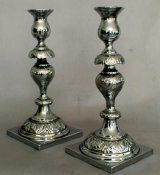 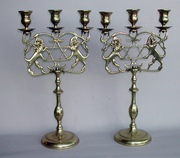 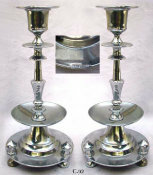 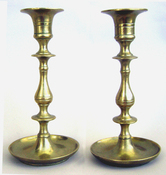 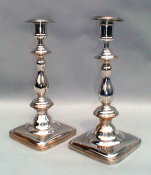 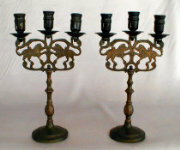 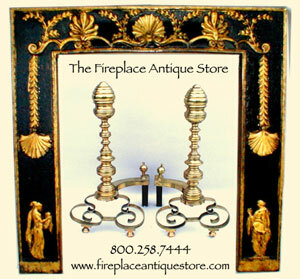 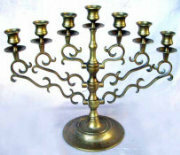 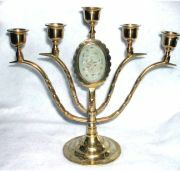 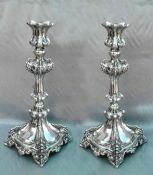 A pair of brass Sabbath candlesticks with petal decoration on baluster stems, with knops and domed bases. 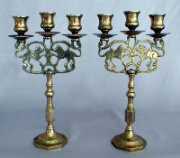 C. 1920s, made b y the Immigrants on York's Lower East Side. 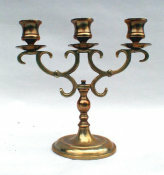 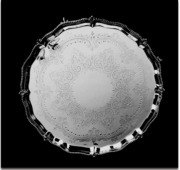 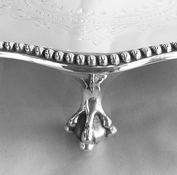 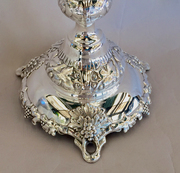 Based on an 19th Century design from Eastern Europe.